The cannabis plant contains over 380 chemical profiles, 84 are considered cannabinoids, and others are terpenes. Two of the most regarded cannabinoid profiles are cannabidiol (CBD) and tetrahydrocannabinol (THC). Both of these cannabinoids have the potential to treat a wider range of health disorders and symptoms. In this article we will discuss common misconceptions about full spectrum CBD and pure CBD Isolate for sale. The primary difference between the two is the fact that, CBD does not get you stoned while THC does at a high dose. Due to cannabidiol (CBD) non-psychoactive healing qualities, it has become a very popular option for both youths and senior citizens seeking a natural alternative treatment to various health disorders. As many patient and medical practitioners start to understand the healing potentials of CBD and how CBD can be used to alleviate various diseases symptoms. Patients are often faced with a choice between using products made from either Full Spectrum CBD extract or CBD Isolate extract. This blog seeks to explain what CBD isolate and full spectrum CBD really means, there extraction process, the mechanism behind the chemical compounds that make up both CBD isolate and full spectrum CBD. Why would a patient choose either full spectrum CBD or pure CBD isolate? is another one. Both full spectrum and CBD isolate are extracted from the cannabis plant through an extraction method called supercritical C02 extraction process. After extraction, the extract is subjected to further processing to make it non-acidic. It is also done to define if the end product of the extraction process should be full spectrum CBD or CBD isolate. The extraction of CBD extract can be a complex process. 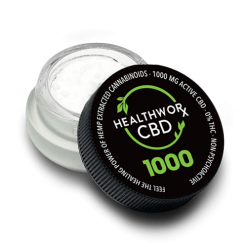 The supercritical C02 extraction process is the most effective and efficient means for both full spectrum CBD and CBD isolate extraction, though it can sometimes be the most expensive, but it’s certainly the safest extraction means used by trusted CBD brands like healthworxcbd.com store. Most commonly the supercritical C02 extraction involves two to three phases of arriving at either full spectrum CBD or CBD isolate. C02 possess the properties of a gas and liquid at the same time, using various laboratory apparatus, the C02 is then heated up and passed through the cannabis in a tight loop extractor, without causing harm to any heat sensitive cannabis nutrients like vitamins and enzymes. Thus the result from the tight loop extractor is a recycled C02, which possess a highly concentrated and totally pure extract that is more easily digestible by the body endocannabinoids system. The CBD extract that comes from this process is a full spectrum cannabinoid product, which can be further separated into CBD isolates, that is pure and transparent with a light amber color. The extract will look like a powder or crystal. It can be consumed directly as a supplement, through beverage or food, or even be applied topically on the skin. So basically, there is no huge difference between full spectrum extraction process and CBD isolate extraction process. 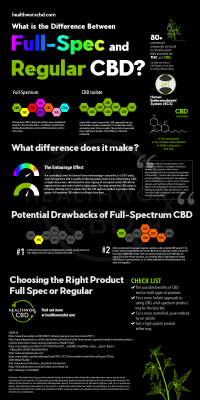 When some CBD products are to have a label of full spectrum CBD. It means that the product contains almost every cannabinoid profile found in the cannabis plant including CBD (Cannabidiol), THCV (Tetrahydrocannabivarin), CBN (Cannabinol), CBG (Cannabigerol), and CBN (Cannabinol), to name a few. Full Spectrum CBD also contains trace amounts of THC (Tetrahydrocannabinol), the psychoactive compound in cannabis plant. It is in very low concentrations (up to .3%). This results in very minimal psychoactive stimulation. Full spectrum product always contains CBD as well as numerous other cannabinoids. These also have the ability to treat a few extra chronic health disorders and symptoms. Due to the trace amounts of THC, full spectrum product treats all of the symptoms that CBD isolate product does. It also can also help users that suffer from epilepsy, seizures, and sleeping problems. Full spectrum oil has the ability to provide a higher level of relief. People can view full spectrum CBD as a concept of utilizing whole plant cannabinoid compounds rather than to extracting out one specific cannabinoid profile or compound. The benefit of using the whole cannabinoid compound found in the cannabis plant is that these various compounds work together to achieve a greater degree of wellness and deep relief. They call the interaction between cannabinoid compounds amount an “entourage effect”. The entourage effect states that, if there are over 200 scientifically identified cannabinoid compounds in the cannabis plant. Most of the cannabinoid compound have a therapeutic benefit on their own, when used in isolation. So, when combined synergistically, the beneficial profile of these cannabinoid compounds are heightened. This provides better results than when applied in isolation. Some CBD users usually ask if the full spectrum CBD entourage effect is a legal drug reaction? The term entourage effect is a legal use of a medical drug term. This term’s primary usage is to describe the therapeutic healing effect that plant chemical profiles may have by working together in combined application rather than individual chemical profile application. The idea being that a plant is more effective, than the sum of its parts when it comes to therapeutic healing benefit. As with most information relating to the study and effects of full spectrum CBD, there are few quality scientific study reports to prove the entourage effect. However, this doesn’t mean that there isn’t growing scientific evidence to further suggest that the entourage effect theory of full spectrum CBD may hold true. As some scientists also argued that CBD profile might mitigates some of the effects and efficiency of THC and other cannabinoids when applied through full spectrum products. Now that you understand the entourage effects mechanism behind using full spectrum CBD. You also have a basic knowledge of how many different compounds make up the full spectrum CBD extract. Now we can relatively talk about the difference between full spectrum and CBD isolate. CBD isolate is a popular CBD product that contains only the CBD cannabinoid profile without any other cannabinoid compounds. The CBD cannabinoid profile either has its extraction entirely from the rest of the naturally occurring cannabinoid compounds or its artificial creation happens in isolation. CBD isolate merely is a pure CBD that had its removal from the cannabis plant and was also in separation from the other cannabinoids. CBD isolate still is an excellent option for patients with less severe or minor symptoms. It could also be a better choice for those citizens that are not yet in the legal spheres of using any product with traces of THC substance. Furthermore, CBD isolate has been an effective treatment for those suffering from depression, nausea, anxiety, inflammation, etc. Also, each cannabinoid found in the full spectrum CBD offers different benefits for a wide variety of health disorder. Notably, CBD isolate offers nearly all the health benefits found in each cannabinoid combined found in full spectrum CBD. While there are a lots of scientific publications that show CBD offers the most benefits as compared to any single cannabinoid found in the cannabis plant. Many cannabis users wonder if CBD isolate alone is more effective for treating health ailments than full spectrum CBD. In the past few decades, some cannabis users without any scientific evidence previously believed that, CBD isolate is more concentrated and potent than full spectrum CBD. Also, some medical practitioners are of the view that CBD isolate is the most effective form. Without THC or the other cannabinoids traces. As patients begin to perceive how they can utilize CBD to alleviate their ailment signs and symptoms. They have to confront with a selection process. This selection takes them between utilizing products that originate from pure CBD isolate or from CBD together with THC and other cannabinoids. Looking for Full Spectrum Oil? 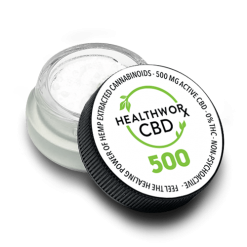 We have a selection of potent Full Spec CBD Oils and CBD Isolate For Sale at our HealthwoRx CBD online shop! However, in past few years, the assumption was debunked by a scientific study from the Lautenberg Center for General Tumor Immunology in Jerusalem. In this study, the researchers get two groups of mice, and the researchers administered full spectrum CBD to one group of mice and CBD isolate to the other group. When comparing the reactions and behavioral data of the two groups of mice. The results proved that the group of mice administered with full spectrum CBD were able to attain higher levels of relief than the other group administered with CBD isolate. In addition, the study also shows that full spectrum CBD continued to provide an increased relief at gradual dosage increase. While CBD Isolate did not provide increased relief when there was an increase in dosage. While there is definitely a wider range of benefits from using full spectrum CBD products. However, this assertion doesn’t discredit the effectiveness and potency of CBD Isolate. There are a wide variety of health disorder situations where CBD isolate would be the most preferred option over the full spectrum CBD. Usually, full spectrum CBD is used to treat, cure and manage some chronic diseases, while CBD isolate is often used as a preventive daily supplement to treat and manage minor health disorders like anxiety, depression and soothing pains. Sometimes, you may not necessarily need the full capabilities of full spectrum CBD to treat some ailments. It is also important to note that other cannabinoids found in the full spectrum CBD may cause some bodily reactions as well as entourage effects when CBD isolate wouldn’t. 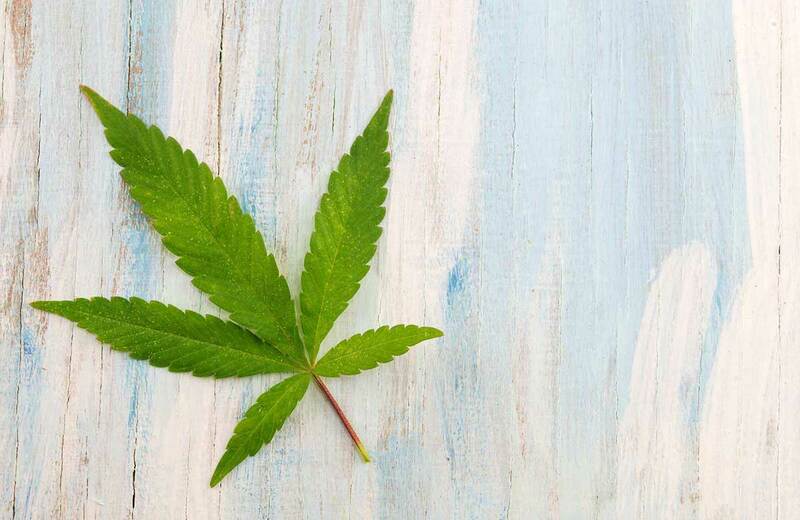 As researchers continue to study the cannabis plant, CBD users will continue to gain more knowledge about these amazing cannabinoids found in the cannabis plant. They will also know what the cannabinoids can do both in full spectrum form an isolated form. A big misconception among some CBD users, is that they assume all CBD products are equal. Looking at the scenario, where a patient reported “I used CBD isolate before and it worked great, so if I use other full spectrum CBD product, will i get the same results?” No! not always. Also, in order for high quality full spectrum CBD and CBD isolate to be yielded. It must be extracted, and formed into a final product with very high safety standards. Just as with any product, in any industry. The manufacturer of CBD products could cut corners at different manufacturing touch points, resulting in a lower-quality product. It’s so unfortunate, but it is the world we currently live in. That being said, it is imperative always to do some background research on a company before you patronize them for your CBD product needs. Make sure to purchase products from a company that is reliable and trustworthy in the industry. Be sure that it has good customer feedback. 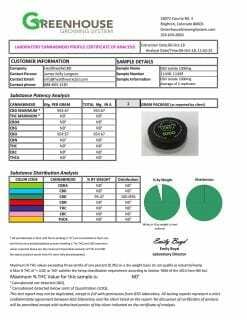 Healthworxcbd.com is such an example of a reliable and trusted brand in the CBD industry. Another common misconception is that; Marijuana prohibition doesn’t apply to full spectrum CBD products. 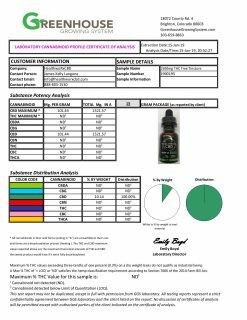 Full spectrum CBD also enjoys the legal status of CBD isolate. Both full spectrum and isolate originate through the extraction from the seed or stalk of the cannabis plant. Full spectrum CBD can sometimes have its extraction from the whole cannabis plant. This plant can include the flower tops, leaves, and a stalk of the cannabis plant. Some CBD companies lack credibility and reliability. It happen when they label their full spectrum or isolate CBD product as an extract from hemp seed or pressed hemp seed. No one considers Hemp oil as full spectrum or isolate CBD. 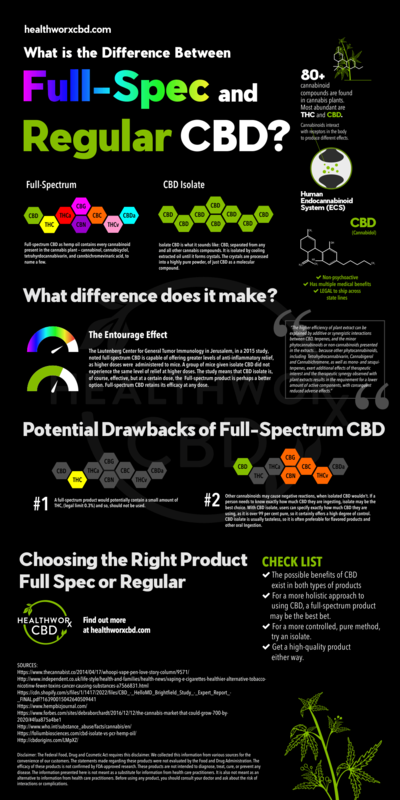 Also, full spectrum CBD and CBD isolate has a clear difference, but when deciding between the two forms of CBD products. Therefore, it’s important to weigh each product pros and cons and base your decision on your personal health goals. 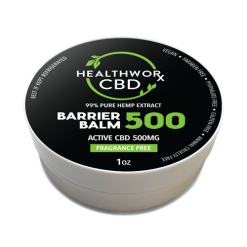 While there are a lot misinformation surrounding the effectiveness of various CBD products and credibility of individual CBD brands themselves, HealthworxCBD is a brand you can trust. We have welcomed visitors into our offices and even gone as far as publishing some of our products laboratory tests online. These had detailed product description when we gave them out. Our response is swift to all customer’s questions and complains. While our’s responsive website design thrives to give our customers an awesome shopping experience. We hope that this blog helped you understand the difference between CBD Isolate and full spectrum CBD. However, if the health condition you are suffering from is complex and critical. We honestly advise you consult your physician or doctor. 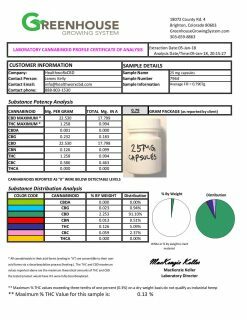 Before decide or choose either full spectrum CBD product or CBD isolate product. Also, if you have any questions, feedbacks recommendations and comments, we invite you to engage our friendly customer support. This entry was posted in Lifestyle, Treatments and tagged buy cbd isolate, CBD ISOLATE, cbd isolate for sale, cbd isolate wholesale, full spectrum cbd vape.